Tucker Carlson’s thinly veiled racism has catapulted into full-throated white supremacy since he ascended to a prime-time spot on Fox News. Carlson constantly stokes fears  about the cultural displacement of white Americans and the ongoing threat to the national culture purportedly posed by immigration and diversity. 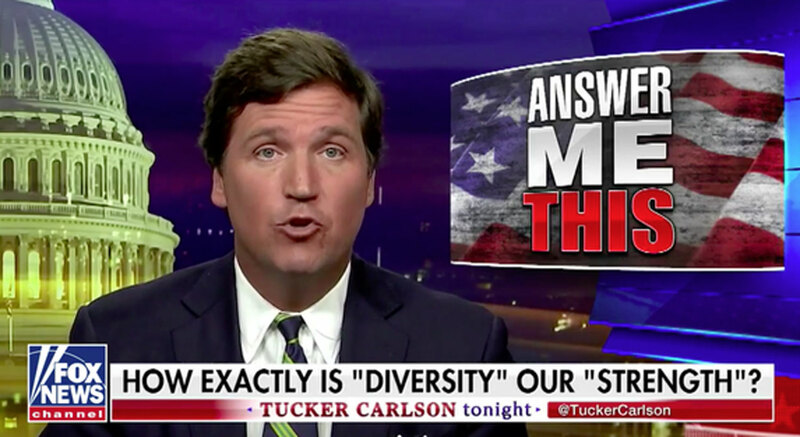 Several major companies have distanced themselves  from Tucker Carlson Tonight in the wake of the host saying  that immigration “makes our own country poorer, and dirtier, and more divided."